Cleaner data. Quicker reporting. Bigger picture. Better decisions. Leaders need 360° visibility across multiple plans in one platform, with up-to-date data. 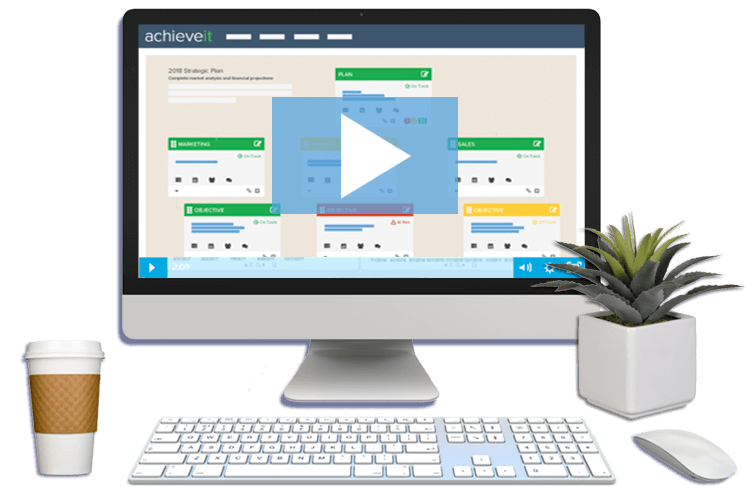 AchieveIt is the cloud-based platform that makes it possible. 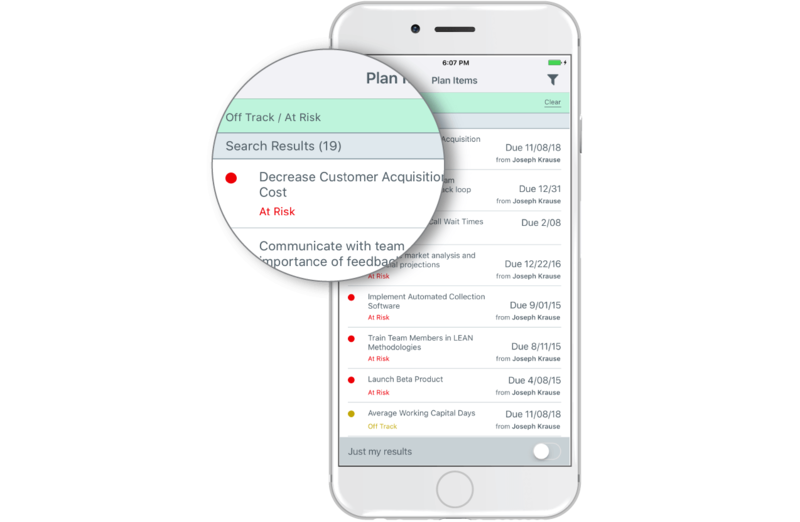 Optimize organizational performance by removing the struggle from tracking and reporting on plan execution. 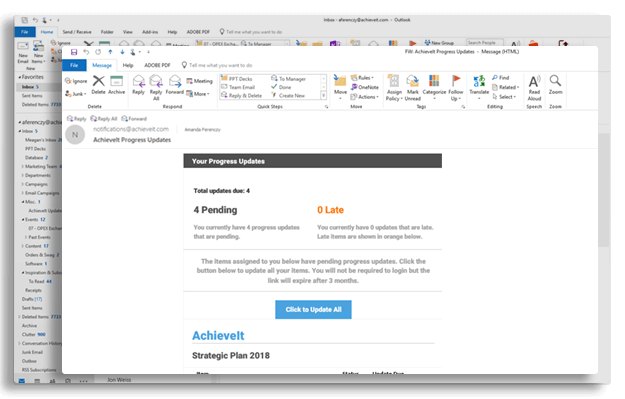 AchieveIt will align your people, plan, and resources and enable accountability with update automation. Sharpen your processes and start making quicker, more informed decisions. 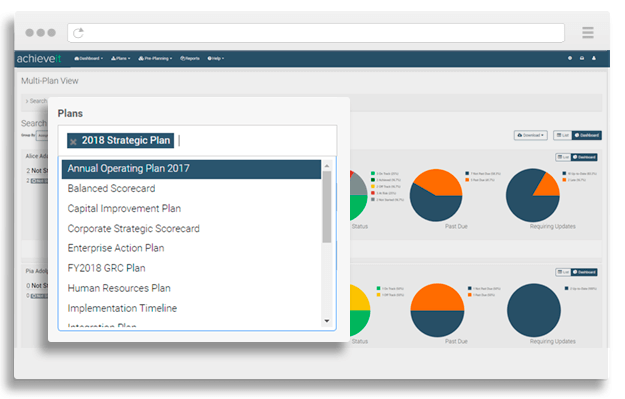 Get the overview and detail of all your plans in one platform so you can spot trends, address weak spots, and recognize victories more quickly. 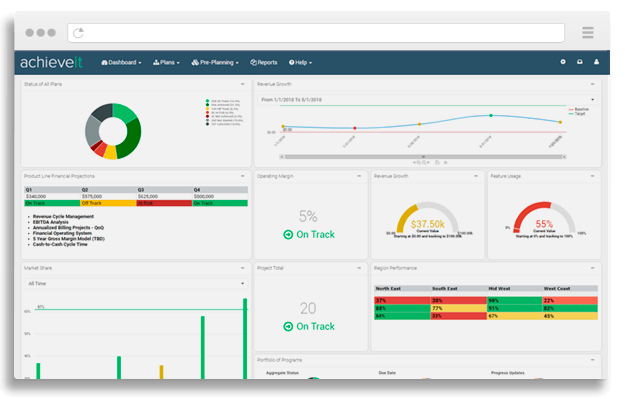 Customized dashboards show live metrics, but – unlike BI tools – reports are clickable so you can see the real-time context behind your updates. Connected intelligence gives you more confidence and decision-making power. 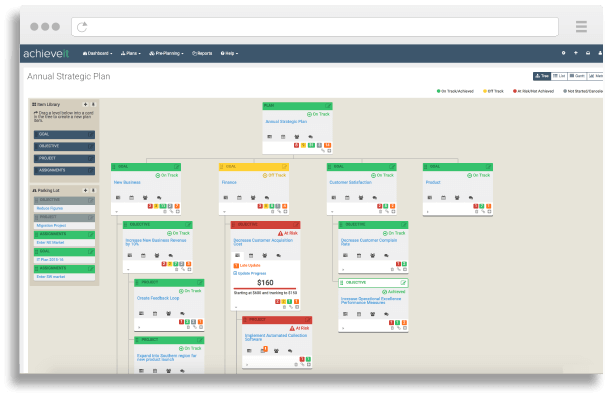 Visualize how your initiatives and resources connect across teams, so you can focus your energy in one direction. Automated email reminders allow users to input data without leaving their inbox, saving hours of reporting. 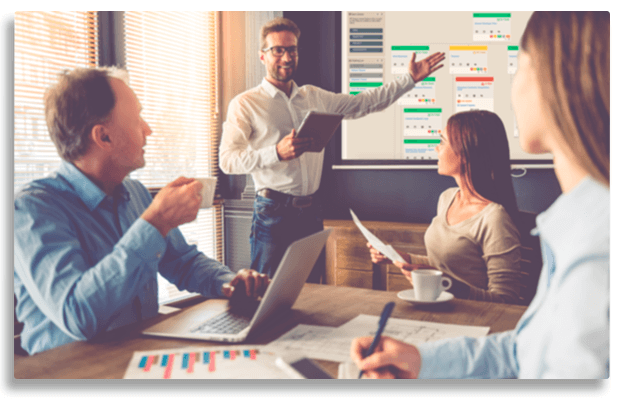 Professional services will work with you to assign tasks, due dates, and a defined reporting cadence to help you create a culture of accountability. 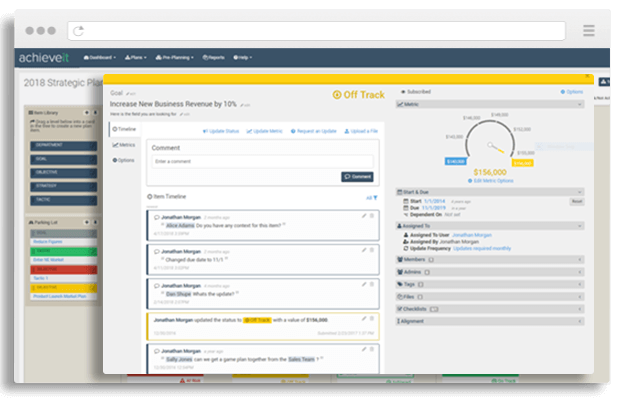 Reallocate your working hours to more productive activities by using filters to discuss the initiatives that require the most attention first. Onsite workshops help align your team so you can get up and running quickly, and see an ROI as soon as possible.